Approximately 200 Estimates range from 400 to 1000. 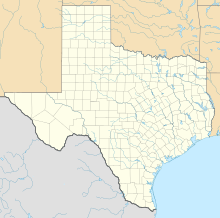 The Battle of Plum Creek was a clash between allied Tonkawa, militia, and Rangers of the Republic of Texas and a huge Comanche war party under Chief Buffalo Hump, which took place near Lockhart, Texas, on August 12, 1840, following the Great Raid of 1840 as the Comanche war party returned to west Texas. Following the Council House Fight of 1840 a group of Comanches led by the Penateka Comanche War Chief Buffalo Hump, warriors from his own band plus allies from various other Comanche bands, raided from West Texas all the way to the coast and the sea. These Comanches were angered by the events of the Council House, in which Texans had killed the Comanche Chiefs when the Texans had raised a white flag of truce. The Texan officials began the treaty talks with demands that were unacceptable or impossible to fulfill for the Comanches, such as the Comanche return all white captives, including the famous captive Cynthia Parker. Other white captives were with bands of the Comanche not represented at the talks. As a show of good faith the Comanche chiefs brought in two captives, a Mexican boy and an adolescent girl named Matilda Lockhart. The Texans thought they were going against their word, because the Comanche chiefs did not return all of the white captives and figured they held back some of their white captives to guarantee their own safety. Exercising a premeditated plan of violating the immunity of the peace delegation, the Texas militiamen told the chiefs it was they that would indeed be held hostage to guarantee the release of their other white captives. Everyone panicked and drew their weapons. The militia began firing and the entire Comanche peace delegation was killed. But Buffalo Hump was determined to do more than merely complain about what the Comanches viewed as a bitter betrayal. Spreading word to the other bands of Comanches that he was raiding the white settlements in revenge, Buffalo Hump led the Great Raid of 1840. On this raid the Comanches went all the way from beyond the Edwards Plateau in West Texas to the cities of Victoria and Linnville on the Texas coast. In what may have been the largest organized raid by the Comanches to that point on Texas settlements, or an attack by Indians on any white city in the continental United States, they raided and burned these towns, plundering at will. Linnville was the second largest port in Texas at that time. On the way back from the sea the Comanches were confronted by Texas rangers and militia in a fight called the Battle of Plum Creek (near the modern town of Lockhart). Apparently greed largely determined the battle's outcome. The Comanches would have never been caught had they not been herding such an enormous number of stolen and heavily laden mules and horses. Thomas J. Pilgrim took part in the Battle of Plum Creek. Buffalo Hump continued to raid white settlements until 1856, when he led his band into the Brazos River Reservation. The town of Linnville never recovered from the Great Raid, most of its residents moving to Port Lavaca, the new settlement established on the bay three and one half miles southwest by displaced Linnville residents. ^ The Comanches: Lords of the Southern Plains. Oklahoma Press. 1952. ^ a b The Comanches: Lords of the Southern Plains. University of Oklahoma Press. 1952. This page was last edited on 24 January 2019, at 12:11 (UTC).